I spent the day digitially following The Tevis Cup, formally called the Western States Trail Ride. 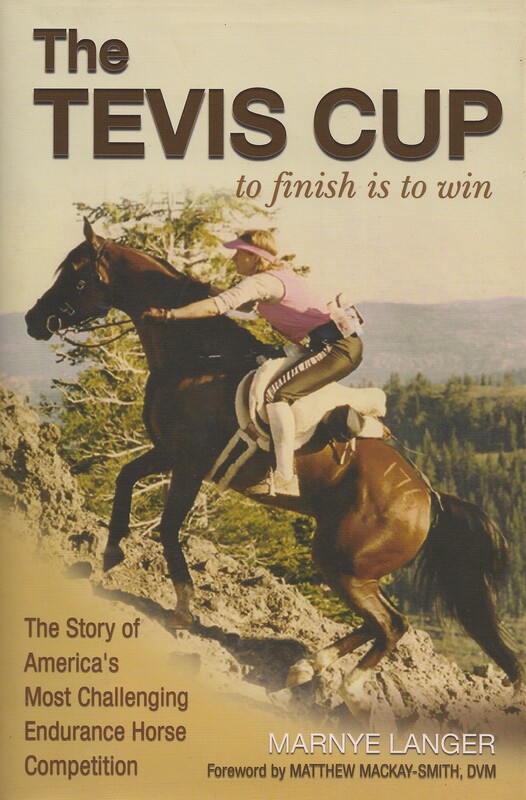 I have never done an endurance ride, nor do I know anyone in this year’s Tevis. It’s just one of those iconic names in the horse world. You can tell a lot from a list of names and times. For example, the cut-off for the Robinson Flat check-point was noon. At 11:30 am local time, 99 riders had checked in. I could almost hear 61 riders scurrying as fast as they felt able, while peeking repeated at their watches. You could also sense the updaters typing madly. Internet info included: current placings, ride times in and out of checkpoints, a pulled rider list with reason and current location of the horse, and a Facebook page with photos and comments. The Facebook page had around 2000 people “talking about this.” I believe that was just people who were commenting and did not count lurkers such as myself. Imagine the number of people repeated checking the standings. It wasn’t perfect. Safari routinely crashed or needed several attempts to find the page. Still, I generally got where I wanted to go in less than, say, 30 seconds. Amazing what is out there. Even more amazing when you consider the process employed at the race. Somewhere on the site – which I can’t find just now – it explains their system of manually writing rider numbers as they enter a checkpoint, relaying those numbers through ham radio, and finally getting the data to web volunteers. It all seems very low-tech, I assume due to the remote location and the mountains blocking cell signals. I also wonder how they, or any other once-a-year event, balances a website that has normal traffic most of the time but goes ballistic for the duration. Any web geniuses out there care to explain? I’m thinking “the cloud” is involved? I’ve always thought endurance would be fun if I ever decided I didn’t want to jump anymore. Arabs have personalities that may be even more, um, interesting than Thoroughbreds. From what little I know, endurance riders must have strong horsemanship and an obsessive attention to detail. Sound like anyone? OTOH, I’m not a big camper nor outdoors person, so the attraction may be more in theory than in reality. See photos here. Eeeep. Perhaps I could volunteer. I know squat about endurance, but I speak both horse and volunteer. I would be open to a necessary but low-status job such as crowd control. I actually quite good at being perky & polite & informative for the duration of the activity. To balance all that outgoing cheer, afterwards I need to go be cranky for an equivalent length of time and am likely to chew a hole in any person unfortunate enough to spend the evening in my vicinity. But that is not the organizer’s concern. On a sad note, condolences to Kelly Williams whose horse Diamond Rule L (Reb) was involved in a fatal fall. Snaps to the Tevis people for reporting it right away. No matter what one feels about the legitimacy of an activity that results in a death, nothing comes close to how terrible the rider feels right now. As of 10:30 pm my time, the lead rider had passed 85 miles. The other 104 were strung out along the trail back to mile 64. I don’t stay up this late, much less ride that long. I’m going to bed. Would you, if you had the right horse? Arabs do tend to excel at this type of event. Especially the smaller, more old-fashioned type as opposed to the show-ring divas. 16.2 is way too tall for an Arab, in my opinion. Chief was 14.1, at the low end of the breed standard, and if my health hadn’t already been failing when i got him I would have loved to have tried some low-level judged trail and endurance rides. After growing up on Quarter Horses I’ve ridden Arabs almost exclusively since ’89. They are a horse of a different color. They used to mostly be small, and I agree, 16.2 is pretty obscene. Believe me, there’s enough horse in the smaller package to suit most. I have no desire to take what I do for fun and turn it into a contest. I’ve ridden with some endurance folks and all I can say is Oh. My. God. Not in a million years do I ever want to do that for fun. I do get a kick out of being able to shimmy down even the steepest of banks while my QH riding buddies inch their way down … mostly on their big fat butts. (The horses, not the riders) Arabs just have this way of being able to do stuff …. well, let’s just say that if you have the fortune to have a good one (and the patience of a Saint sometimes) there’s nothing else like them! Enjoyed the Tevis “report”!